Victoria's Secret Angels are the new generation of models, who sign the best advertising campaigns for the lingerie brand Victoria's Secrets. They have already reached the top of fashion. 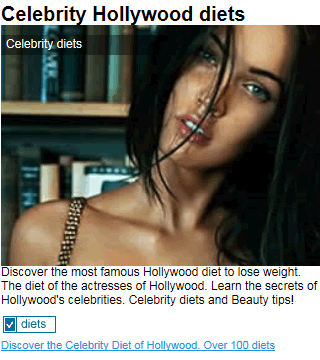 They follow a balanced diet for weight loss and exercises. Their high salary and their exposure to flashes and zooms require to them to be physically top 24 / 7. The fashion brands require healthy models, pretty and in good shape. The Victoria's Secret Models eat small meals 5 times a day. They avoid processed food and usually stick to eat organic fruit and vegetables when possible. Their diet is high in protein so they keep their muscle and only lose fat. The eating plan and daily menu for models, by the dietitian of Victoria's Secret. Breakfast: models eat old-fashioned oatmeal, egg whites, vegetables, cottage cheese and fruit, muesli and yoghurt. "Models need to eat a good breakfast with carbohydrates, because they’re at castings all days", says the dietitian of Victoria's Secret. Lunch: I suggest salads at lunch with chicken and fish, with fruit for a healthy snack. Dinner: Dinner options include sashimi with brown rice, chicken, fish, turkey and vegetables. For the energy, a lot of models live on sugar. "I don’t mind them getting sugar from fruits like strawberries, boysenberries, blueberries, raspberries and pomegranate because they’re packed with antioxidants", says the dietitian of Victoria's Secret. I recommend to models to eat a little bit of dark chocolate or ice-cream twice a week, just so you don’t splurge and go overboard with chocolate, cookies and sugar. 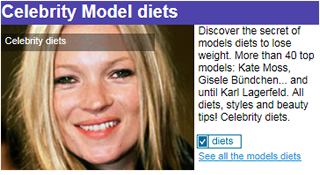 Genetic is very important, don't expect to be like these models next week only with a diet! The Victoria's Secret Models are privileged girls with divine dresses. They are beautiful but they work very hard in the gym to keep toned, sculpted and being thin. The Victoria's Secret Angels have their own personal trainer helping them to achieve the best possible results. A luxury, but assured result. Here are the Victoria's Secret models exercises to keep the figure. This fitness program includes Pilates or yoga, weight lifting and runnning. The personal trainer asks to each model to bring a notepad and get them to write down exercises they can do on the road when they travel. He also orders them medicine balls and bands to take on their trips.